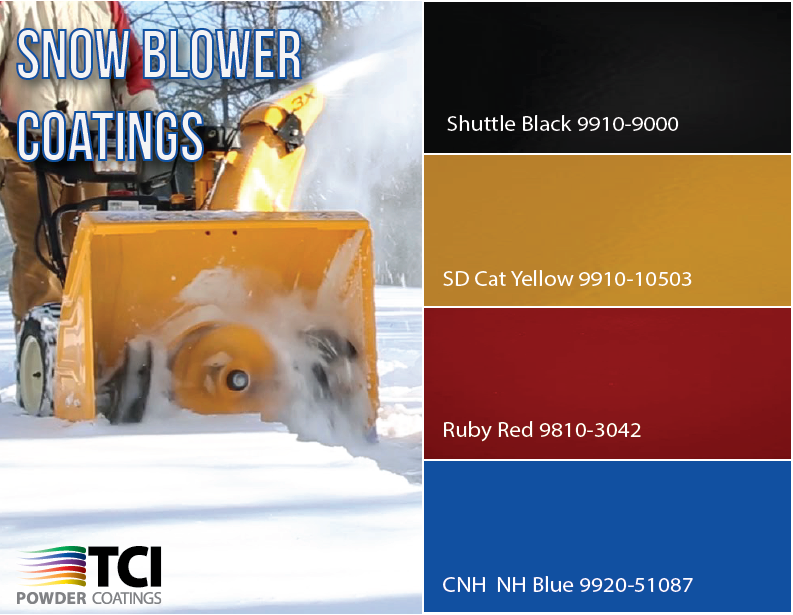 In the market for snow blower coatings? Ours will blow you away. With several colors and finishes, we provide a product that will stand up to the elements and deliver exceptional exterior durability, flexibility, and chemical, corrosion, and impact resistance. For more information on our Heavy Duty Equipment (HDE) coatings, click here. TCI "Demonic Red" Color Featured in Products Finishing Magazine! Check us out on page 47 of this edition of Products Finishing! The magazine highlighted our “demonic red” color for Fiat Chrysler Automobiles (FCA)! Want your products to stand out and sparkle? 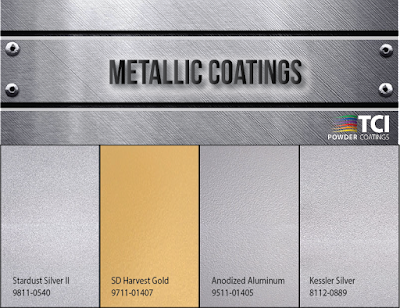 TCI’s metallic coatings offer you just that. With several coatings to choose from, you’ll find a finish with the luster you’re looking for. 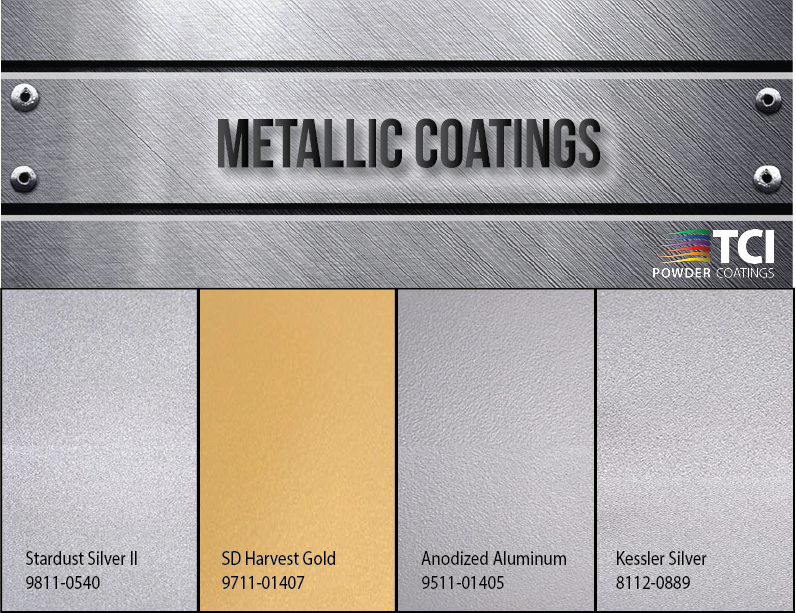 To view all of our metallic powder coating options, click here. TCI’s powder coatings are not just for appliances and automobiles. We supply coatings for office and contract furniture that keeps any office looking sleek and sophisticated. Our selection includes smooth, textured, metallic, and low cure colors. 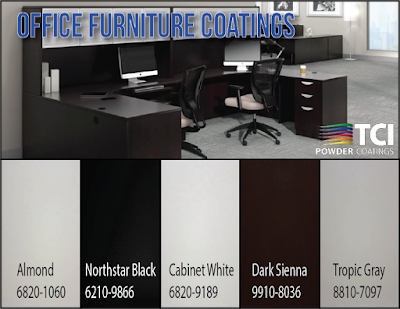 Click here to see more Furniture and Fixture coating options!